We all know about Lean. At least most of us do. We need to Lean our processes and organizations. We need to make them more efficient and less wasteful. But the problem is that Lean is only for incremental improvements. Given an existing process, how can we make it 5%, 10% more efficient? But the problem is that many opportunities for business aren’t just about incremental improvements in processes, we need to develop the new opportunities and products. Does Lean help with this? Absolutely not. It is all about Innovation Games and Empathy Maps. With these tools and methods we can actually build customer engagement and try to develop Novel Innovations. With Novel Innovation we can discover new innovation that deliver new markets and services. No longer are we talking about 5%-10%. Now we are taking with total green-field opportunities that can offer 100%-200% growth. We are suddenly moved from a discussion of cost cutting to growth. So how do we move from Lean to Novel? By changing our focus from internal to external. Instead of looking internally on how we can help to improve the internal working, lets look externally and see what the clients actually want and will pay for. No longer can we just look internally, incremental improvements are not enough. If you aren’t looking at your customers. your competitors are. I can’t stress this enough. Innovation is not an internal exercise. Many innovation frameworks look internally and discuss how to propose and gather innovation feedback internally. Without the involvement of the client and the building of client empathy, it is an unfocused effort that is not likely to succeed. Read Innovation Games. Learn how to build Customer Engagement and Empathy.These methods will highlighted Novel approaches that will change your business and create the next generation of the business. This role focused mainly on Risk Mitigation. In the early years of computing, there was great value to be gleaned by entering data in a consistent way and minimizing errors. There was also great value realized by then having all the data in one location that could then be reported on to provide key indicators for the health of the business. Information Technology implemented systems to record the current state or what ‘IS’. I often refer to this as the golden age of computing as we turned the power of the computer to problems that were much easier to scale and make more efficient using a computer rather than adding more people. The benefits were also realized in many workflow projects where Information Technology assisted people in guiding what they were supposed to do in the workflow process. In this phase, the increased computing power was also brought to the forefront to provide processing power that was only dreamed about 5 years ago. In this phase, Information Technology implemented systems to take business beyond ‘IS’ and towards what business ‘COULD’ do with automation. With the Agile Manifesto, Information Technology ushered in the new phase of Agile projects. Now we were focusing not only on the outcomes of the projects, but also HOW the projects were being executed to maximize value. This was done through reducing Cycle Time, Maximizing Client Engagement, and through Visual Project Management. In this phase, Information Technology implemented project processes that showed how projects should be run. These first three phases focused on improvement, refinement, assisting the business to get better. We are now on the cusp of the fourth phase where Information Technology helps the business grow. There is much talk about Innovation and how people must innovate, but it remains somewhat elusive. 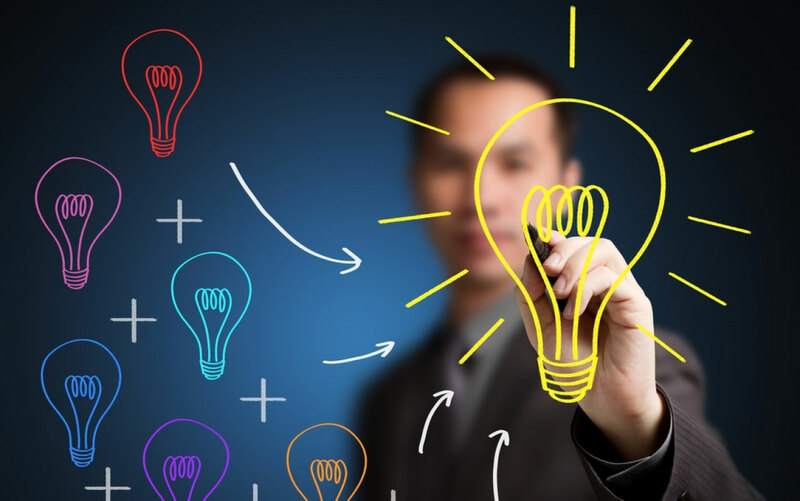 What is clear is that Information Technology has a role to play in helping clients Innovate. Information Technology is uniquely position to leverage visual tools like Innovation Games, Empathy Maps, Business Model Canvas to provide business the brutal visibility that Information Technology provided previously about the projects in the Agile phase. 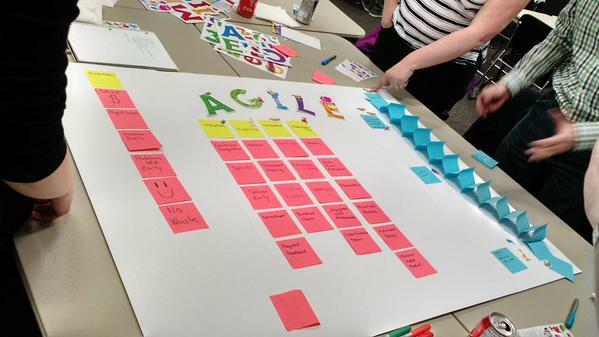 What is clear is that the trend that Agile started toward visual requirements must continue. Specifications have improved from Specification documents to Use Cases to User Stories to A Business Model Canvas. Each one more visual that the prior. What is also clear is that asking people what they want and documenting the response in words is a very risky endeavor. For the first time, Business Models can be captured on one sheet and what-if-analysis can be done like in the first spreadsheet programs to evaluate options and alternatives. In this phase, Information Technology is analyzing and recommending business processes that show how business can grow. We won’t just be helping companies to get better, but to be different.